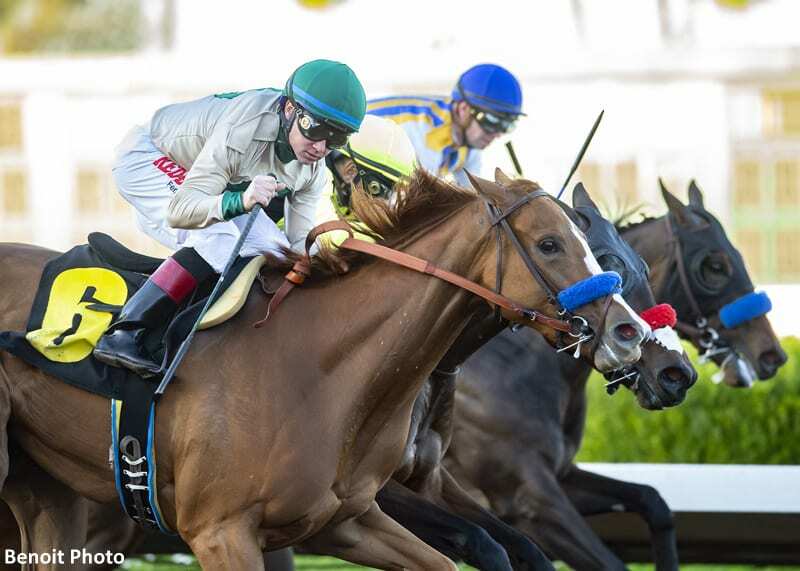 Chasing Yesterday, the Grade 1-winning half-sister to Triple Crown champion American Pharoah, will not start in Saturday's G2 Rachel Alexandra Stakes at the Fair Grounds, according to drf.com. Trainer Bob Baffert is not shipping the filly or his Risen Star entrant Kingly to Louisiana. Both Chasing Yesterday and Kingly drew outside posts: Chasing Yesterday drew post 10 in the Rachel Alexandra, while Kingly drew post 13 in the Risen Star. Chasing Yesterday, by Tapit, has won her last three races in a row and would likely have been the favorite for the Road to the Kentucky Oaks contest. This entry was posted in NL Article, Racing and tagged american pharoah, Bob Baffert, chasing yesterday, fair grounds, kingly, Louisiana, Rachel Alexandra, Risen Star, tapit by Paulick Report Staff. Bookmark the permalink.